Aromatic & All Natural Treats for Body, Sense & Soul. Good for You & Good for Nature Organic Bath Goods. The bath and beauty industry has become overwhelmed with mass produced synthetic products marketed as the solution to all kinds of needs, but the irony is that they usual add to the problem. Thank goodness for local makers like Dawn Ambuehl-Sadek of Maman Sucre who saw the opportunity to bring us all-natural goodies that can truly address physical and psychological needs with wholesome ingredients. Think about how good it feels to be clean and refreshed whether it's when you wake up or after a long day. Then couple that with clean ingredients with the most amazing aromas. What could be better?! That encompasses a large majority of what Maman Sucre sells on Etsy and at various shows across Austin. Her offerings range from bath bombs to perfumes to body scrubs and more. Each sweet smelling product is a treat for the body and soul, as she puts it "sugar to put on your body, not in it". The natural ingredients and scents soothe anything from itches to stress. Plus, there amazingly pretty! Everything from the shapes and natural colorings Dawn uses to her packaging. It's hard to pick a favorite, but I know the bath bombs are especially fun for how they react with water, releasing bubbles, scents and your stress all at once! 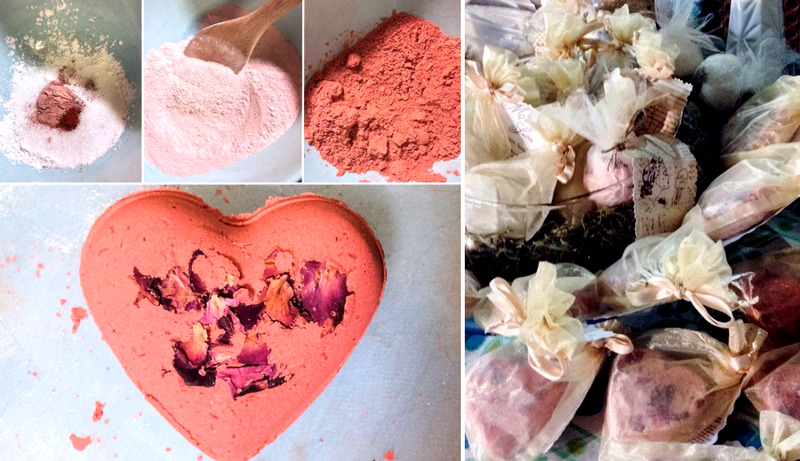 I truly admire the way this local crafter saw a need, came up with an idea and dedicated her passion to bringing us wholesome, all natural bath and beauty treats!